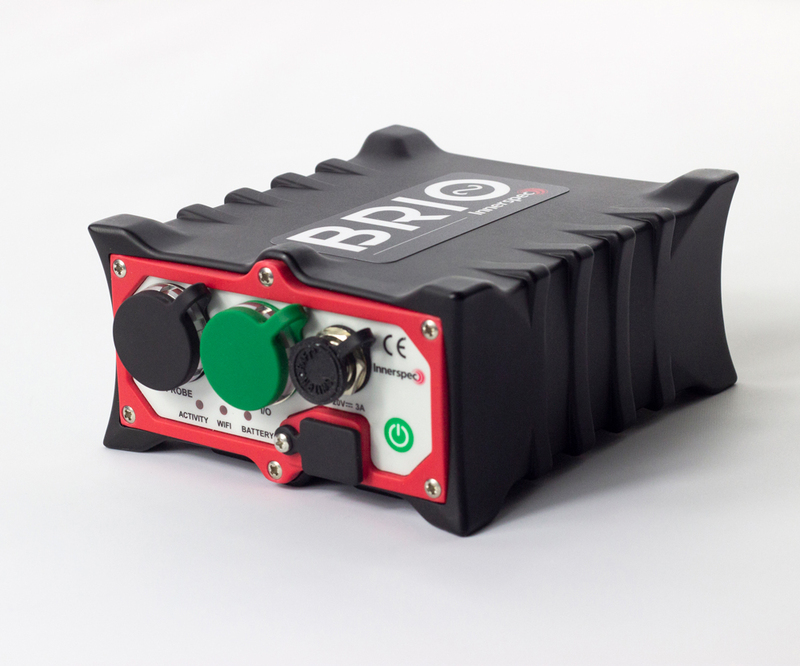 BRIO is an advanced, ultra-portable Eddy Current Array (ECA) instrument designed for in-service inspections in aerospace, oil & gas, power generation, and manufacturing industries. 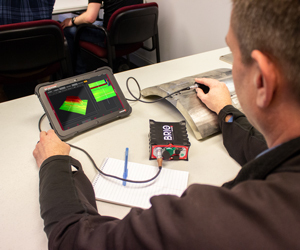 Custom software tools and a comprehensive catalog of pencil, array, and rotating probes are available for conventional and advanced Eddy Current applications. 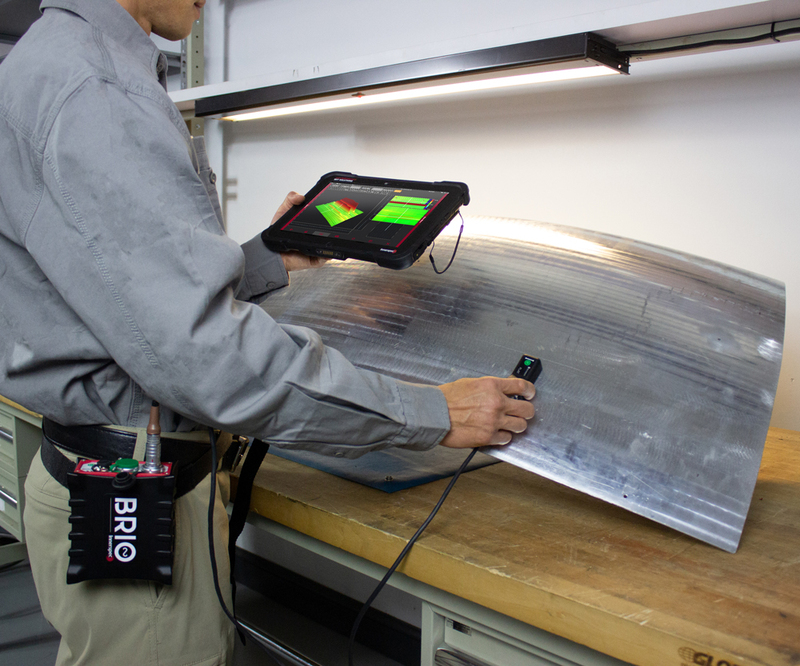 BRIO is small enough to be worn on a belt, and powerful enough for bench work. The tablet user interface connected wirelessly to the instrument permits the operator to be highly mobile when working at heights, climbing structures, or moving from part to part during benchtop inspection. 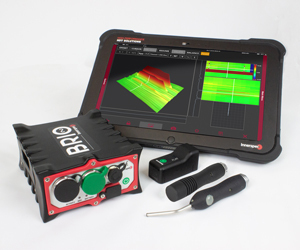 Intuitive BRIO software permits real-time control using the ruggedized tablet included with the instrument, or any wireless device or notebook computer running MS Windows®. The equipment is shipped ready-to-use with automatic tablet connectivity and probe recognition, pre-loaded configurations, and assisted probe calibration. BRIO is available in two versions: BRIO and BRIO+ with ECA. Both versions support digital inputs and outputs for in-line integration in manufacturing environments. Multi-channel, 4-frequency flaw detection from 10 Hz to 10 MHz. 5-frequency, simultaneous conductivity and thickness measurement. 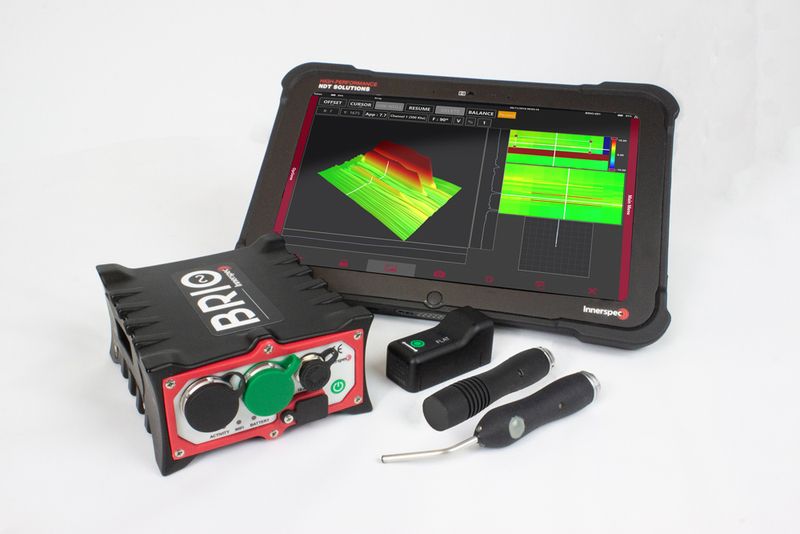 Supports Pencil, Conductivity, Thickness, Rotary, Array, and 3rd party probes. Wireless communication between instrument and tablet or any Windows device. Simple User Interface with assisted calibration, screen capture, photo management, and reporting tools. Instrument Dimensions 4.4” x 5.2” x 2.3"
Belt with attached belt clip. Additional probes, probe adapters, and accessories available.